My name is Tanay. I’m a third year computer science major in Manipal University and after three rounds of interviews – I joined SocialCops as a summer intern. You join SocialCops with people expecting a lot from you. Varun Banka, our co-founder told me on Day 1 that you’ll be working in a really challenging environment and things are going to move really fast. A typical first week for an intern includes a hack week challenge which happens to be the most difficult time of the internship. There are a couple of things which make it really tough- one, you are completely new to the product and working environment and, two, everyone’s got their eyes on you on the Demo Day (i.e. Friday). I joined SC in the summer of 2015, and my task was to build an analytics module for the Android Based Data Collection Tool, Collect. So, our aim was to build a tool which could analyze the performance of each user and give them better insights on how to improve their process of surveying, yet keeping it simple to understand and use. Given the user base, we were trying to maximize the functionality with least number of variables to fiddle with. Collect uses Kinvey (Mbaas) to handle all the backend processing. Given the amount of time till the demo day (5 days), building a complete login module from scratch can prove to be quite a challenge. Thanks to Kinvey’s login module and pretty documentation, I overcome this challenge in a span of 2.5 days. for libraries over the internet which provide best visualizations over Android, not to mention, with good documentation that suits your need. While there are many libraries available that do the job but they have little or no documentation. It becomes really difficult to hack until and unless you are an experienced developer. In the process of developing this tool, I changed over 3 libraries and finally settled upon one. Design : Graphs looked really aesthetic and pleasing to the eyes. It follows a minimal approach. Ease of use: Availability of variety of functions to tweak around stuff is a plus. It is really important to have optimized queries as Internet is a scarce resource with limited bandwidth. We had to make sure that database was not accessed more than once for each visualization. Moreover the devices being used on the field have very limited resources. So, we had to minimize the processing which took place over data over the device. Kinvey provides a beautiful functionality of writing Business Logic/Endpoints/Hooks over their servers. So we wrote Endpoints, that could directly give us the data with a single request without involving much processing over the device. There was another limitation, that each query over the server had to finish within a timeout period of 20 seconds. Since the datasets are large to analyze it is essential to write queries that terminate within a given time frame. Use of MapReduce functions reduce the querying time drastically and give results almost instantly. The final stage is quite easy to implement once all the data and user information is in place. It is important to choose an appropriate visualization which gives a meaningful insight. MP Android chart also provide graph animations which is big winner. Graphs can be moved around really easily. The biggest learning for Android is to always use Lists instead of Arrays, It can save you from loads of Null Pointer Exceptions. After conquering these challenges I got the coveted ‘showdown’ spot in the ‘Friday demo’ to showcase my work to the team. The applaud more than compensated for all the hardwork and ofcourse when I found out, our investor Rajan Anandan (MD, Google India) acknowledged my work on Social Media I couldn’t stop grinning. Update: We’re excited to announce that Tanay joined the SocialCops team full time! We’re thrilled to have him on board. Looking for an opportunity to learn by execution? Love challenges and solving critical problems that the world is facing? Our interns do just that! We are hiring interns across roles. 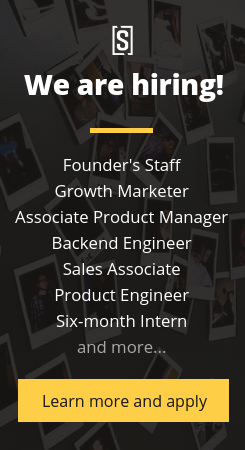 Check out open internship positions here! Great tanay. Keep up the good work!